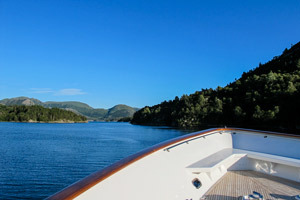 Enjoy your Scandinavian cruising onboard a luxury yacht. Cruise the Norwegian coastline, The Hurtigruten, The Baltic with visits to cities like St Petersburg, Helsinki, and Stockholm. Time to explore the Norwegian coastline and do your own “Hurtigruten” on a chartered yacht? Known as the “World’s Most Beautiful Sea Voyage” it spans from Bergen in the south to Kirkenes in the north far above the Arctic Circle. A shorter version may still include the Geirangerfjord (or Sognefjorden as an alternative), Bergen and Stavanger. Depart Bergen early afternoon for the Island of Fedje, which is only a 3hr trip along the coast. We would see the coastal Norway Islands along this route and once at Fedje we would go to anchor. Fedje is an anglers’ paradise and the best fishing spot of the trip. Besides the local fishing you could visit Fedje and walk to the historic lighthouse or even visit the local restaurant, which has a variety of Norwegian local food on offer including whale stew. Should the sea be unfavorable to visit Fedje we take an inland, more scenic, route to an overnight anchorage in an area called Gulen, near the entrance to the Sognefjord and the village of Evindvik. This area is superb for a family walks or ride bikes to the local historic park of Gulatinget, and also excellent to explore by water on the kayaks, jet skis or diving. Let your Norwegian journey begin in the World Heritage city of Bergen. 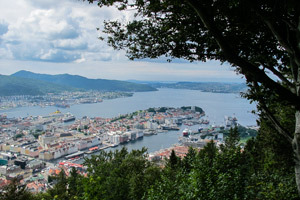 Rich in history and Hanseatic buildings Bergen was founded in the early 11th century. Despite several great fires, the wooden buildings of “Bryggen” still remains functional with shops and restaurants just by the port. A few minutes walk away, pass the vibrant open vegetable and fish market, the modern part of the city will keep any fashion shopper happy. 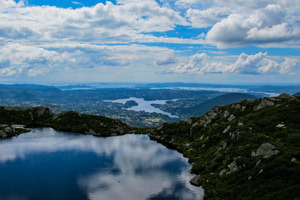 The spectacular views from Mount Ulriken is not to be missed and can be reached with cable car. After breakfast we continue our trip into the start of the Sognefjorden area, the longest fjord in Norway. We would make our way to Fuglsefjorden, which is a 3 hr trip and where there is a beautiful lake that meets the sea. If the tide is right we could take the tender up to the head of the lake to explore this beautiful area. The lake has also a good sealed road around it, which makes for a very nice walk or bike ride. Another activity option could be a kayak or other water sport. Later we continue for another 1.5hrs to anchor off and spend the night in Finnabotn which is one of the smallest branches of the Sognefjord and very picturesque. We depart late morning and cruise to Balestrand, which takes approx. 1.5hrs. Balestrand has some spectacular views of the snow covered mountains, and has a range of activities depending on weather. On poor weather days you could visit the Kviknes Hotel and try their famous buffet lunch or large selection of wines. Another option is lunch at the Cider house or a visit to the Sognefjord Aquarium for the young families. Weather permitting we could travel by taxi to the nearby mountain pass of Gualarfjellsvegen, which has many good walks along waterfalls and beautiful mountain rivers. We would then cruise for 1.5 hrs to Fjaerland where we would visit the glaciers the following morning. After breakfast we would go ashore to visit Mundal. From here we have our first option of bringing in a helicopter for a ride over the Jostedalen Glacier, Norway’s largest glacier. We do have other options for helicopter rides over Jostedalen later in the trip from other landing sites if the weather wasn’t optimal. We could also take a short taxi ride, walk or cycle to the Supphellebreen Glacier. This is a small glacier 9 kms from Mundal. There is also the Boyabreen Glacier that you could visit and the Glacier Museum. Our next destination would be an overnight anchorage in Flam, this is a 4hr trip from Mundal with the last 2hrs of cruising down very beautiful the Aurland fjord. In the morning we go ashore to visit Flam and catch the Flam Railway that travels up the side of the mountain and stops off at a very large waterfall along the way. This is a very scenic 20km trip, which is rated to be one of the 10 most beautiful train journeys in the world. 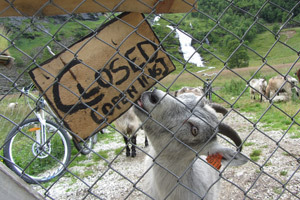 Once at the top we would have the option of hiring bikes and riding down an excellent and exciting trail down to Flam. Along the way there are many photo opportunities for waterfalls, rivers and a goat farm we can stop at for a snack on some local goat products. 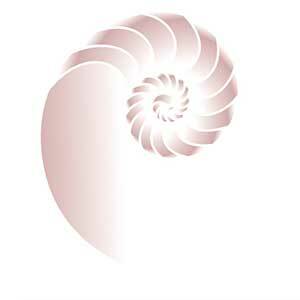 There is also the option of returning by train to Flam and shopping in the many tourist shops. Also to recommend is a taxi ride to the Stegastein View Point to take that holiday shot. More information on other things to do and see in the link below. Once back on board we would cruise for 2hrs to Gudvagen. This is the most dramatic of the fjords in the area as it is very narrow and high. A morning of water activities such as kayaking or jet skis-ing on the fjord, as this is the best fjord for these activities. And maybe a visit to the small Viking village on the fjord where you could row a Viking boat. After this we could travel by taxi up to the Staheim Hotel, which has a spectacular view down into the valley for that magical snapshot. We would then return to the yacht for lunch while underway to our next stop at Laerdal. This would take 3hrs. From Laerdal we would travel to the Borgund Stave Church, which is only a 20 min taxi ride. This stave church is exceptionally well preserved and is the most distinctive in Norway. Once back on board we travel another 1.5 hrs to our overnight anchorage. After breakfast you would have the option of going ashore to visit the local Stave Church and then come back to the yacht for the final farewell. Sogndal Airport has small aircrafts that connect to Bergen and Oslo ,but also receives private planes. Flying out of Sogndal Airport on a nice day you would get a great view of the fjords and the Jostedalen Glacier as well. We save the best for last. Today we would have many options for you to choose from. A good family trip is a visit to the Stggevatnet where we would be met by guides and taken across the lake by boat to hike up on the Glacier. This tour is more suited to families. 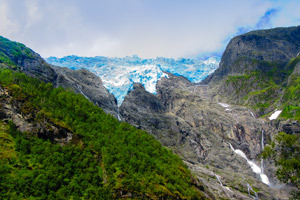 As another option we could visit the Nigardsbreen Glacier, which has family hikes and the more adventurous hikes also. You can check these out from the link below. Yet another option is heading to Fortun where we would be met and taken up to a high country where we would cycle up to 20 miles down hill through mountain scenery, waterfalls and rivers. The final option would be to have a ride in a helicopter over the Jostedalen Glacier. This would be subject to availability and wether permitting. At the end of the day we would need to cruise to Kaupanger for the drop off the next morning. Maybe a historical Baltic cruise would interest you with stops in St Petersburg, Helsinki, the beautiful Stockholm archipelago and maybe circumnavigate the island of Gotland and visit the city of Visby. Make sure to visit Scandinavia before venturing further south to The Mediterranean on your European holiday.